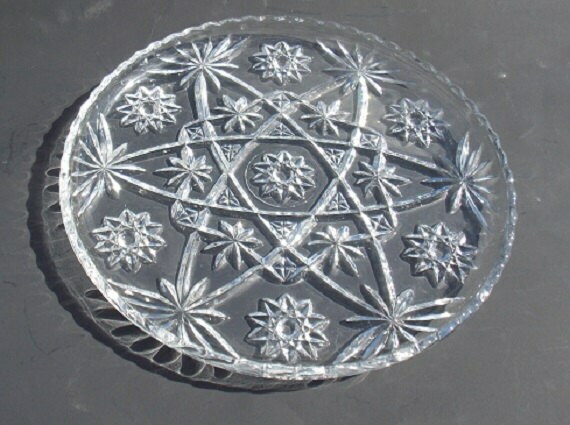 This vintage glass cake platter was made by Anchor Hocking in the Star of David pattern. 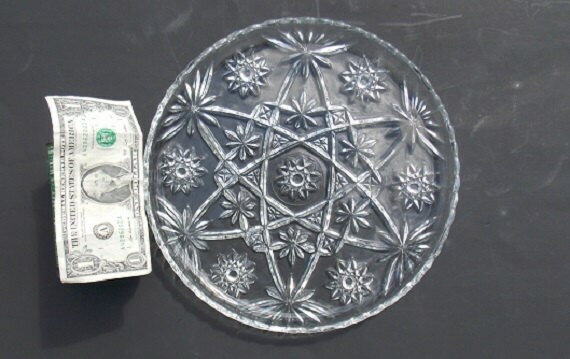 It has a geometric and star pattern pressed on the underside of the platter. 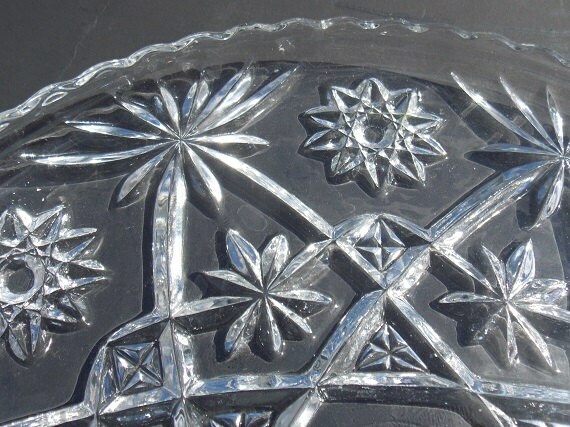 The face of the plate is smooth. 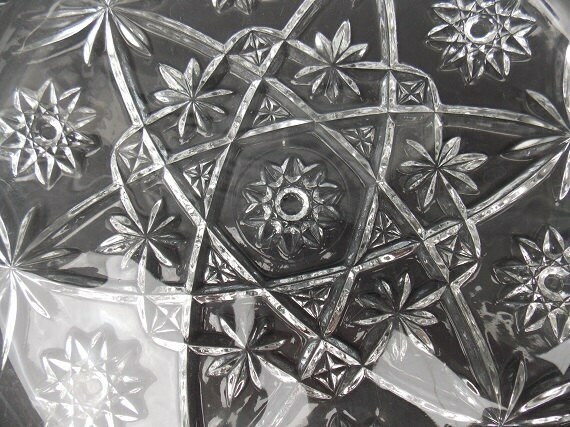 This heavy glass piece has a sawtooth rim. 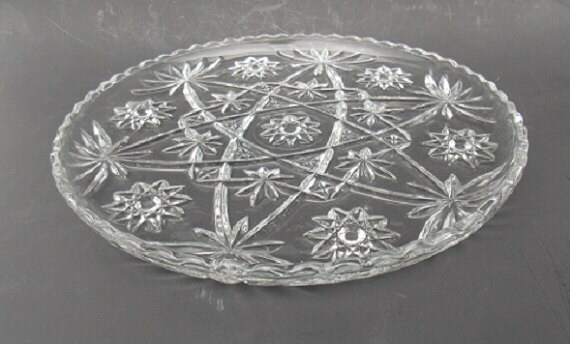 This serving platter is in nice condition. The glass is clear with no chips or cracks.